A complete contemporary take on the Indian mangalsutras, this one is bound to be lapped up by young ladies. Go ahead & customize it with options in Gold Purity (18K, 14K), Diamond Grade (SI-HI, VS-GH, VVS-GH) & Metal Colour (Yellow, White, Rose) of your liking. Create your own unique jewelry. 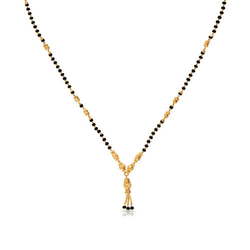 Featuring an orthodox look, this Gold Mangalsutra is crafted from original quality gold and copper. 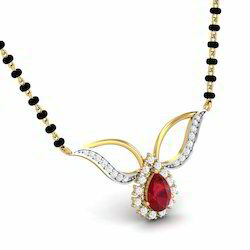 We are considered as one of the foremost providers of Gold And Rhodium Mangalsutra. We are engaged in offering gold mungal sutra.